Looking for ways to say those nasty fleas goodbye? You’ve come to the right place. Fleas seem to be everywhere and during the summer (hot weather) their presence can get overwhelming. First some disgusting realities you should be aware of. Fleas can lay eggs almost anywhere inside your home. 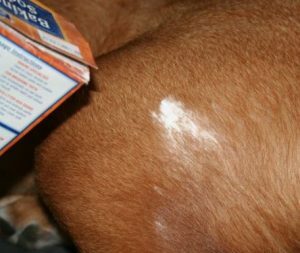 Fleas can survive on your dogs, rabbits, cats and in fact, even you can be their host. And since their eggs can remain for over a year at your home, you might want to clean regularly to keep them from coming back. When killing fleas, you should be effective and consistent. Find below the top home remedies and helpful tips to get rid of fleas. The idea here is that dish detergent mixed with water is toxic to fleas and if they hop into it, they’ll die. The night light helps attracts these fleas. 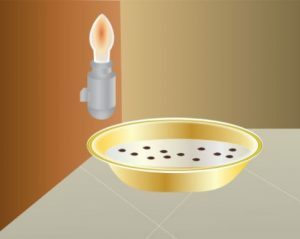 Make sure you use a bowl or basin that has a shallow edge though, so that fleas can jump over it into the mixture. You’ll have to place this “trap” near the ground too, so that it’s more accessible to the fleas. The advantage of making your own flea killing spray is that it will be completely safe for your pets and kids. To make your own spray you need to mix a gallon of vinegar, ½ gallon of water, lemon juice and witch hazel. 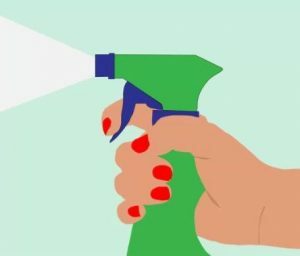 Using a heavy spray, Spray your carpets, furniture, pet bedding, window sills, floors, every nook and corner of your house. Washing your pet’s bedding will keep fleas away – Fleas love to nest in the same place your pet does to keep feeding on him or her. 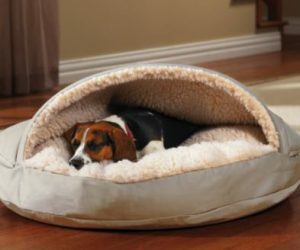 Don’t just take the cover off of your pet’s bed, since fleas can be hiding in the stuffing as well. Also, wash your pet’s toys – Fleas and eggs will hide in your pet’s toys. 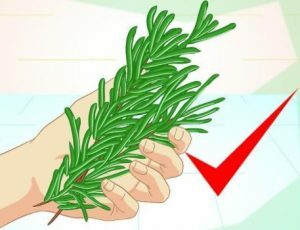 To make an herbal flea powder using rosemary, place this herb with some rue, wormwood, fennel and peppermint into a pestle and mortar and grind into a powder. Then sprinkle it on your carpets, furniture, pet bedding, and window sills and anywhere else you suspect flea activity in your home. 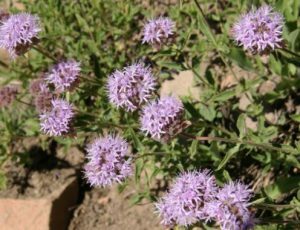 The final natural remedy to get rid of fleas is enlisting the help of specific plants to help repel these biting insects. Certain plants contain specific oils, compounds, and chemicals which fleas hate and will try and avoid. This oil discourages fleas. Aside from decora, you can also plant it around your house. However it is not a good idea if your pets are prone to eating plants or if you have children around. 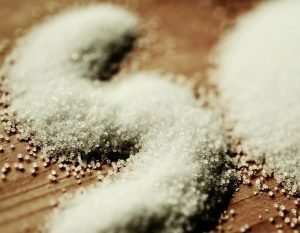 As it turns out, basic table salt dries up the eggs of fleas and eventually kills all of them. What you need to do is to look for an affected area on your pet, grab a pinch of salt, add a drop of water and massage the area. Repeat until infestation is cleared. For this flea home remedy to work, lay down baking soda along your carpets and furniture, take a hard brush and rub it into the fabric. After that, vacuum your home thoroughly and empty the contents of the vacuum into a bag and place in an outside trash can.